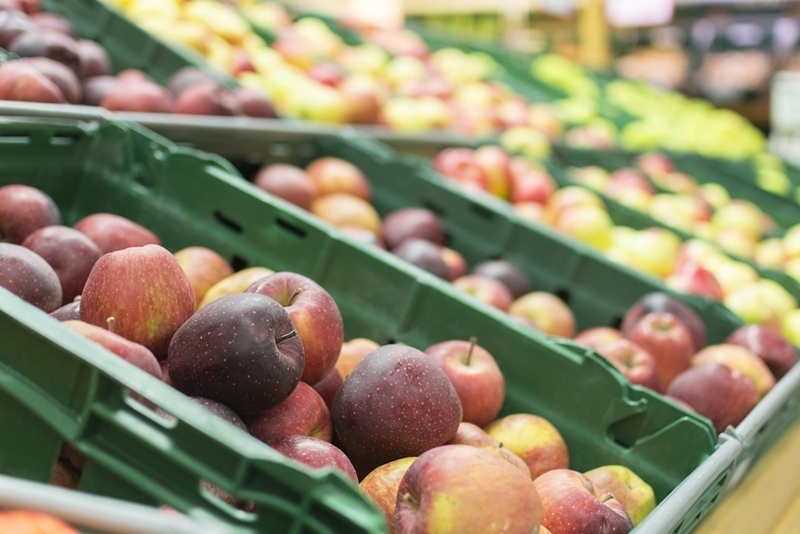 The Australian government's National Measurement Institute (NMI) recently launched a program aimed at helping fruit and vegetable trade buyers and sellers get value for money. The 'Harvest to Home' trade measurement inspection program will involve NMI inspectors overseeing the weighing, packaging and selling of fruit and vegetables throughout the supply chain – from the farm to the dining table. "Whether you're a farmer, a wholesaler or a consumer, accurate measurement is vital to support trade." Bill Loizides, general manager for legal metrology at NMI, explained that it's about making sure all stakeholders in the fruit and vegetable industry – from farmers to importers to retailers – understand their obligations and rights under trade measurement laws. "Each year in Australia, fruit and vegetables are moved from importers and farms to our homes in millions of measurement-based transactions. In fact, around five million tonnes of produce are bought and sold each year," said Mr Loizides. "Whether you're a farmer, a wholesaler or a consumer, accurate measurement is vital to support trade, ensure fair competition among businesses, and give consumers confidence in what they're buying. visiting 1,400 traders (e.g. producers, wholesalers and retailers). inspecting 11,000 lines of packaged goods. making 200 'secret shopper' trial purchases. "Where breaches of the law are detected, NMI inspectors will usually advise businesses on how to improve their trading practices to meet their legal obligations," said Mr Loizides. "However, where persistent or serious breaches occur, NMI may use a range of enforcement options, including fines and prosecution." Every day, Australian businesses and consumers buy millions of goods and expect to receive the right measurement – count, weight, volume, length or area – they've paid for. The NMI, part of the government's Department of Industry, Innovation and Science, provides advice and assistance to businesses on meeting their obligations under trade measurement law, conducts checks to ensure they are measuring accurately their goods for trade, and take enforcement action when necessary. Inspectors will be overseeing the weighing and packaging of fruit and vegetables throughout the supply chain. In 2015 to 2016, NMI's trade measurement inspectors audited more than 10,000 business premises across the country, testing over 15,000 measuring instruments, and inspecting more than 80,000 lines of packaged goods – nearly 320,000 individual packages – for correct measure and measurement labelling. In an initial audit during that period, the NMI found 66 per cent of businesses to be fully compliant, which was an improvement on 2014 to 2015 (60 per cent) and 2013 to 2014 (59 per cent) levels. The majority of businesses found to have breaches were able and willing to comply with legislation once made aware of their obligations. Only 15 per cent of these traders were still non-compliant in follow-up inspections. Every day, Australian businesses and consumers buy millions of goods and expect to receive the right measurement. The best way to maintain compliance with Australian measurement law (and to keep your customers happy) is to ensure your measuring equipment is accurate and reliable. SRO Technology's site auditing services involve a comprehensive assessment of your facility and processes, enabling us to identify any instruments not working correctly. From there, we can make recommendations in terms of which devices require calibration, repair or replacement. Our experts will ensure that any site audit concludes with tangible improvements for your operation, and with offices in Sydney, Brisbane and Perth, they can reach anywhere in Australia. If you're interested to find out more about how we can help improve your processes and compliance, please contact the SRO Technology team today.